“This is the very least that they deserve,” said Sal Mione. Mione, a Vietnam War veteran, was with Union County’s Office of Veterans’ Affairs until retiring last year. He now volunteers with the office, he said, because there is still much to be done on behalf of America’s veterans, the living and the dead. 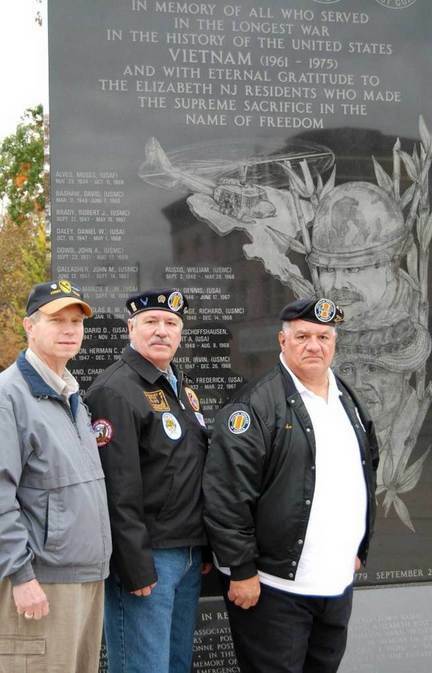 Mione is working with fellow veterans as part of New Jersey Mission of Honor, which is dedicated to seeing that all veterans receive proper burials. At funeral homes across New Jersey, and across the country, there are the cremated remains, or cremains as they are referred to, of thousands of individuals. Usually sealed in plastic bags and then boxed, some have been sitting on shelves for decades--and upwards of 500 may well be the cremains of American war veterans, said Francis Carrasco, vice chairman of the a non-profit veterans organization. Representatives in each of the state’s 21 counties have started to visit the estimated 1,500 funeral homes to enlist their cooperation, Carrasco said. Mission of Honor representatives went recently to Growney Funeral Home in Hillside, where their effort s may have paid off. Documents show that of the 60 or so cremains that the funeral home is still holding, at least three are veterans from the Union County area, said funeral home office manager Jean Cardaci. There are many reasons why the funeral homes are left with ashes, she said. “Some people don’t want them. Sometimes there’s a family conflict-- arguments over who can have them,” Cardaci said. “Some don’t have the money to do anything with them,” she said. Although in the case of veterans, the government will handle interment costs. In a number of cases, family members lost contact with each other or there was some sort of estrangement, she said. But whatever the reason, it is a good feeling to know that once all the paperwork is processed—there must be one more attempt to contact the deceased’s family--the veterans will get a proper burial, Cardaci said. “It feels good that they will not be left at the funeral home, that they will be at a respectful place, which they deserve for being in the service,” she said. Once all the documentation is in order, the veterans’ remains are buried at the Brigadier General William C. Doyle Veterans Cemetery in Writghtstown, with the government picking up the costs of interment. The mahogany burial urns, which include the emblem of the veteran’s branch of service, the American flags and all necessary documentation is paid for and provided by the New Jersey Mission of Honor, Carrasco said. Union County Undersheriff Vincent DeTrolio has been working with Mission of Honor members to get the word out about the program, which is fairly new. Last year, veterans lobbied successfully with the Legislature to require funeral homes to cooperate with their quest. Even so, the program is still not well known, DeTrolio said, noting that the Mission’s efforts are solely supported by donations, which can be mailed to New Jersey Mission of Honor, P.O. Box 263, Bordentown, NJ 08505. Freeholder Chairman Alexander Mirabella said the county is totally supportive of the Mission of Honor. “Union County will do everything it can through the Office of Veterans’ Affairs, and through any other means, to assist in the Mission of Honor’s efforts in our county,” Mirabella said. The Mission of Honor’s coordinators in Union County are two Vietnam War veterans, John Gratacos of Elizabeth and Rick Harrison of Roselle. In recent weeks, they have visited about a dozen funeral homes in Elizabeth, Linden, Westfield and Cranford, Harrison said, noting that they have at least another 40 to go.